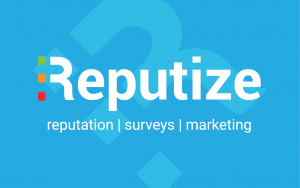 Reputize is expanding it’s partner network in order to deliver content to a broader audience. Hotels, using Reputize, are now able to directly publish guest reviews to Zoover from touch terminals, placed inside their hotels, or from the other channels like email and WiFi. Hotels are already familiar with this service since last year Reputize partnered with Holidaycheck in order to deliver more hotel reviews to the platform. “We are very excited to start working with Zoover as well, as this is a very important source for European travelers and especially the Benelux market. As we are already aware of the possible results, we are thrilled that we will be producing around 13 times more reviews for hotels, compared to what they can expect from TripAdvisor and Booking.com combined for the same period. With such amounts of fresh user generated reviews, our customers can rest assured they would be on the forefront of the competition” says Ivo Dimitrov, Founder and MD of Reputize. “With more and more sources we are able to publish reviews directly, hoteliers can focus on increasing the number of reviews they publish onto various review platforms and OTAs based on their importance specifically for the particular property. Zoover is the online platform in the Netherlands and growing internationally. Since its start up in 2005 Zoover has grown from an attic office into an international organisation. While Zoover’s domestic market is the Dutch speaking consumer, it also has sites in 25 other countries. With 150 million visitors annually, Zoover is the most visited holiday platform in the Benelux. Zoover contains more than 3.2 million reviews of more than 400,000 accommodations in more than 45,000 destinations worldwide. Zoover is the online platform in the holiday and leisure sector which brings consumer and market together. Every month millions of visitors consult Zoover for reviews and the best holiday offers. The platform helps visitors find what they are looking for; the most interesting country or that charming city with that wonderful hotel or breathtaking museum.